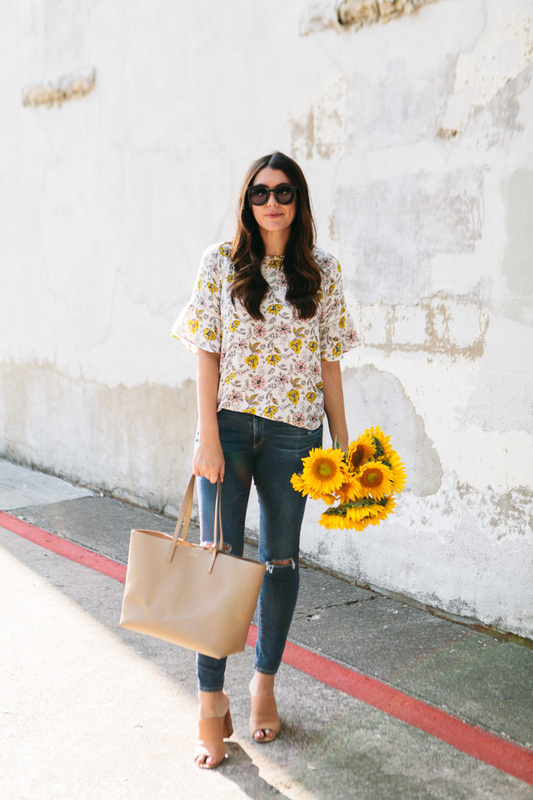 I almost named this post ‘florals for fall’ then had to swiftly remind myself that ‘Kendi IT IS STILL NOT FALL. GIVE IT UP.’ Septemeber 22nd cannot come fast enough. I love fall, the shortest season of all, so much. It is but a dream I have each year that Texas will actually be cool enough in September to wear booties and layers. It’s never going to happen ever, but a girl can dream right?? 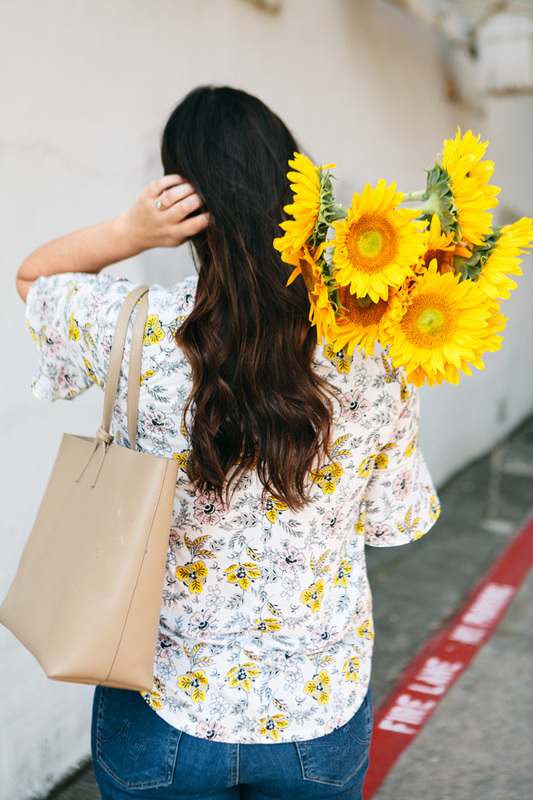 So this post will not be about florals for fall because while I fully believe in year-round florals, it is still summer and florals are perfect in the summertime. 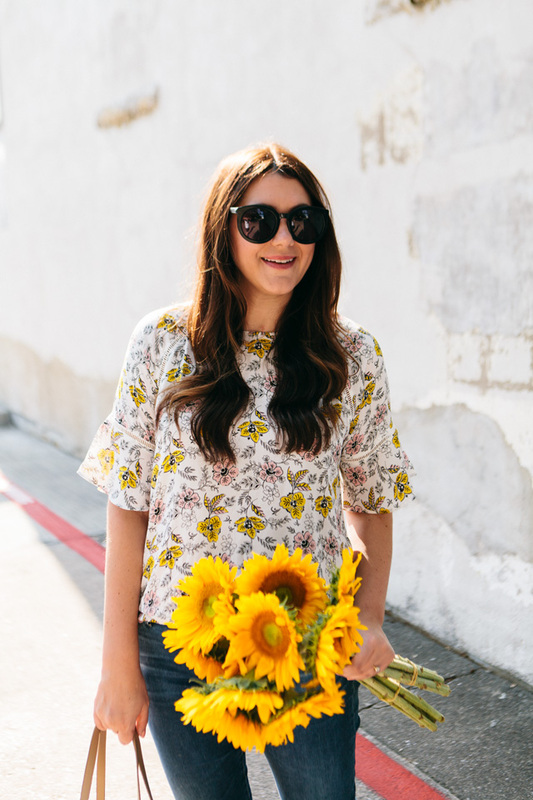 Especially bright happy florals like this LOFT top. Also two words: bell sleeves. 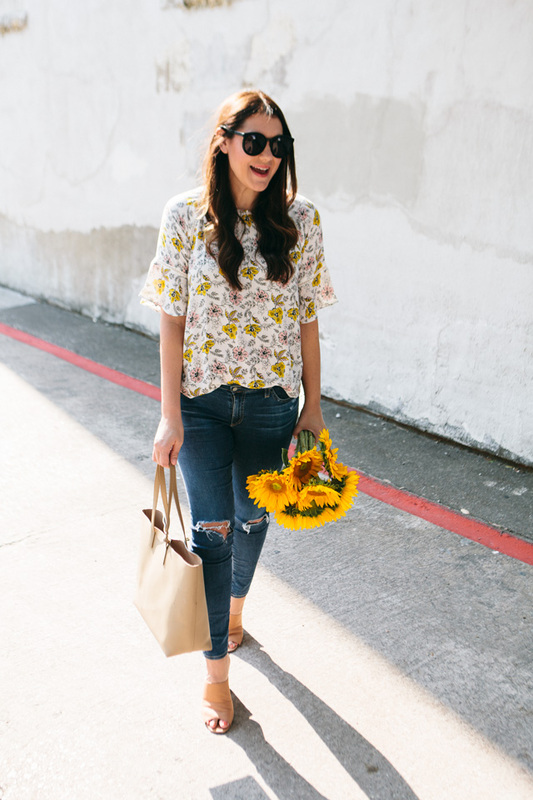 Could this top be any cuter?? You can find this top here! This AG leggings jeans are seriously my favorite. 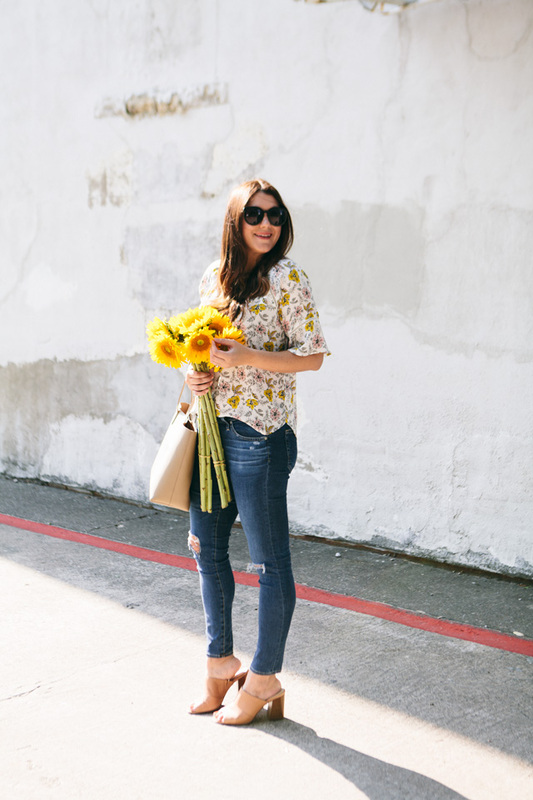 Since I didn’t wear regular denim for almost a year when I was pregnant, I’d kind of forgotten about my favorite brands and pairs in my closet. These AG leggings are absolutely perfect. Did you snag them from the Anniversary Sale? If not, I’ve linked them here! And here is another distressed pair from Topshop, super similar in style but under $100! 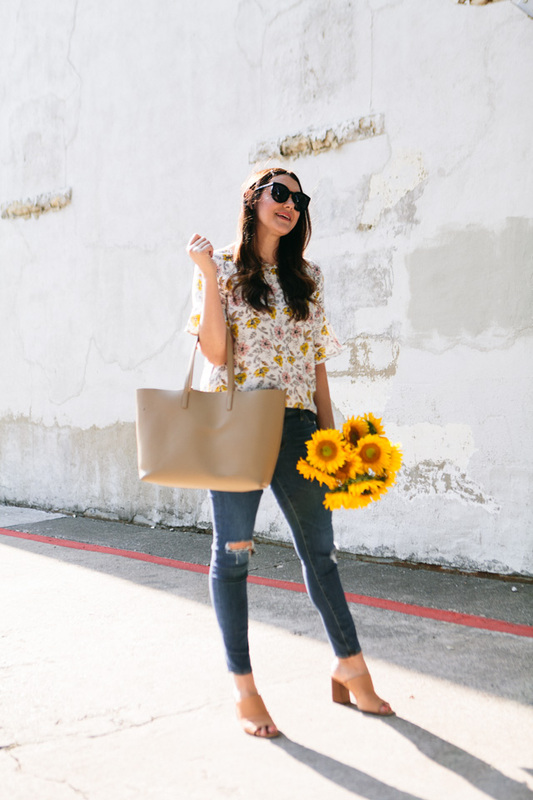 Top fits true to size with a little bit of give! If in between sizes, size down! I am in the medium for reference. That top is so cute! I love the floral details! I love that top on you. 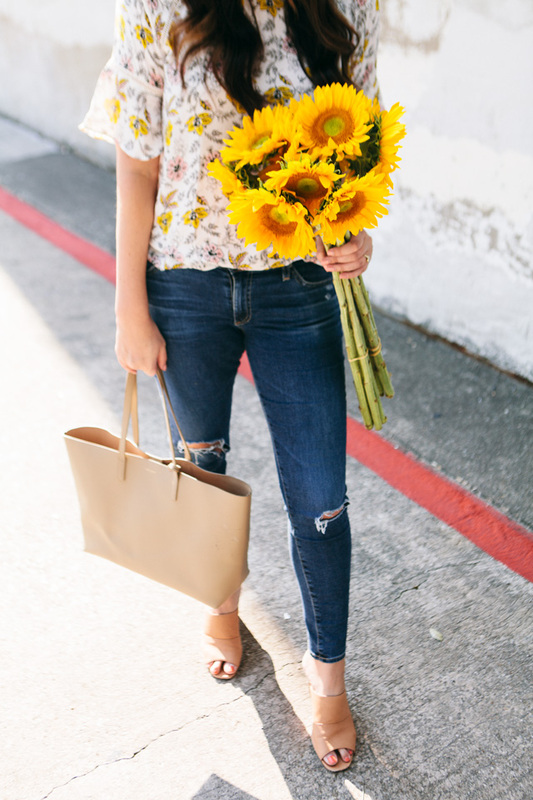 And you are carrying sunflowers – such a happy flower! Bell sleeves make my arms look – odd. I am quite short limbed, so that may be my issue…. 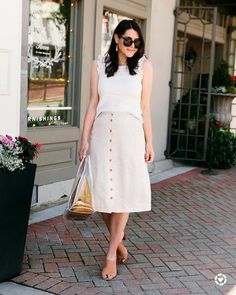 This outfit is too cute!